President Recep Tayyip Erdoğan's visits to Tanzania, Mozambique and Madagascar with a delegation of representatives from the Turkish business world, slated from Jan. 22-26, are expected to strengthen Turkey's economic ties with the "dark continent." Turkey's first official visit to these countries points to the immense potential these countries have for Turkish investors. Turkish delegation led by President Erdoğan first arrived in Dar es Salaam, the capital of Tanzania. Late Sunday, Erdoğan and other Turkish officials met local businessmen in the capital and discussed ways to improve bilateral relations and trade between Turkey and Tanzania. Speaking to Daily Sabah, the Foreign Economic Relations Board (DEİK) Turkey-Tanzania Business Council President Aytaç Dinçer noted that Tanzania, which has shown the highest economic performance among sub-Saharan African countries in the last decade, is a key asset to Turkey's business sector, saying that Tanzania's economy has an average growth rate of 6 percent. 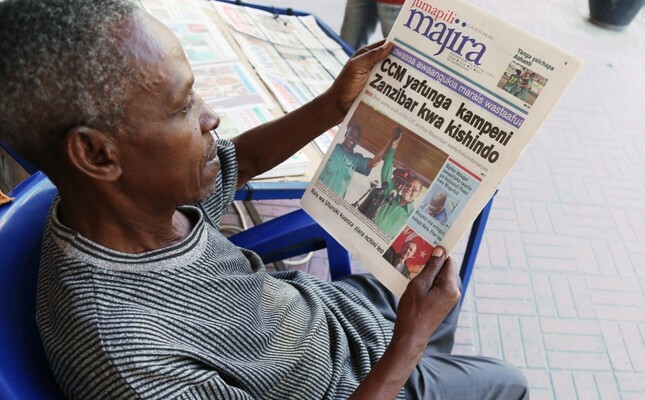 Underlining that Tanzania's economic growth has been supported primarily by the sectors of construction, mining and services, Dinçer pointed out that Tanzania is a member of the East African Community Customs Union. Dinçer noted that the said country has many investment opportunities for the Turkish private sector, adding that investing in Tanzania could prove profitable for Turkey in terms of investments in mining, renewable energy, pharmaceuticals, textiles, construction and building materials, production and sales of agricultural machinery and in the meat and fishery sectors. Recalling that the trade volume between the two countries has increased in recent years, Dinçer said, "We believe that relations between the two countries will develop rapidly as a result of our president's visit." Stressing that Tanzania faced a roadblock to financing projects, as do all other African countries that struggle to finance such projects. Dinçer suggested that in order to solve this problem, Türk Eximbank and the African Export-Import Bank (Afreximbank) should develop cooperation, and Türk Eximbank should increase financing rates regarding the projects of Turkish investors and develop new financing solutions. DEİK Turkey-Madagascar Business Council President Yalçın Kıroğlu said that Madagascar's economy grew by 4.5 percent this year, adding that the country, which is an island state with a population of 22 million people, has offered investment opportunities in many fields such as infrastructure, energy, tourism, mining and even the manufacturing industry. Stating that countries like France, Canada and China have already invested in Madagascar, Kıroğlu said that the country is a real tourists' paradise with its natural beauties and unexplored bays, highlighting that the virgin territory of the country is still in need of facilities and infrastructure. "The accumulation of Turkish investors in the tourism sector here offers profitable investment opportunities for hotels and other tourism facilities," Kıroğlu added. DEIK Turkey-Mozambique Business Council President Erhan Barutoğlu pointed out that Mozambique could be the world's largest liquefied natural gas (LNG) exporter after the commercialization of high-volume natural gas in its territorial waters. Noting that the country is in a beautiful geopolitical position, Barutoğlu said that it offers access to rich underground resources along with operational and transportational resources. Indicating that investment funding problems seen in some other countries are also encountered in Mozambique, Barutoğlu stated that Turkey's presence in Mozambique and similar countriess, which are very important for both its exports and its raw material imports, should be seen as a great opportunity for Turkish entrepreneurs. "It would not be wrong to say that Mozambique, which has been recognized around the world as the African country with the highest potential, is ready to embrace Turkish companies and Turkish products," Barutoğlu said.